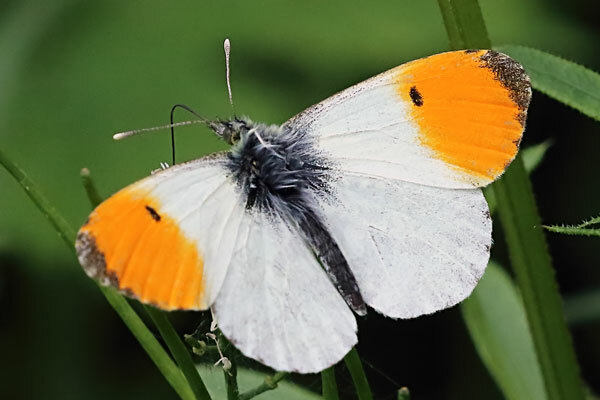 Today I saw at least six Small Tortoiseshells and a Large White at the allotment, and a Meadow Brown, a Gatekeeper (first of the year; unusually, it was a female), a Green-veined White and a Large White in the garden. 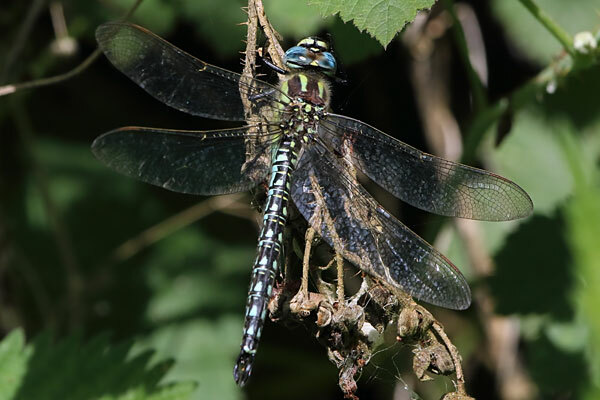 After a long drive back from the Lake District today, I was greeted by an immature Emperor Dragonfly in the garden. It flew off before I could get the camera. This morning I went to Foulshaw Moss, on the other side of the Kent estuary. It was again quite hot at 09:30. As I walked out to the first observation platform a few Large Heaths were bobbing above the heather. The pond near the platform had several Four-spotted Chasers fighting each other. An Osprey was pointed out to me, but it was high over Arnside Knott. I found another one sitting on a dead tree. I continued along the boardwalk into the more wooded area, where I started to see immature male Black Darters. There were loads of Four-spotted Chasers here. 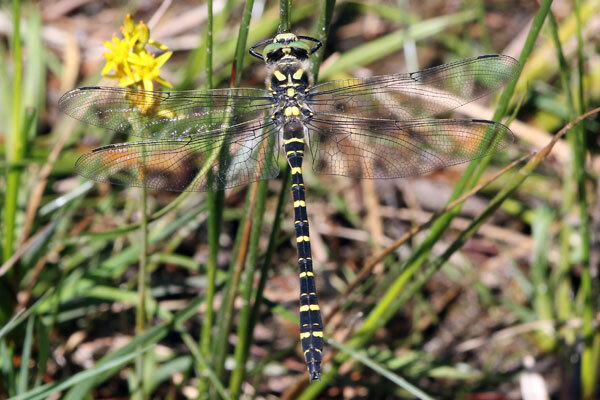 At the big pond I saw a Southern Hawker, a Migrant Hawker and an Emperor. By midday it was getting too hot, so I left Foulshaw and drove down to the Leighton Moss annex, the Allen and Eric Morecambe hides. The lagoon in front of the Allen hide was busy with a lot of very noisy (and smelly!) 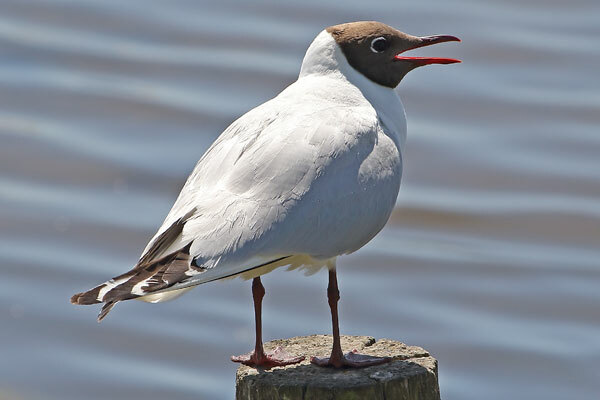 Black-headed Gulls. A couple of dozen Black-tailed Godwits were there; not sure how they put up with the noise. 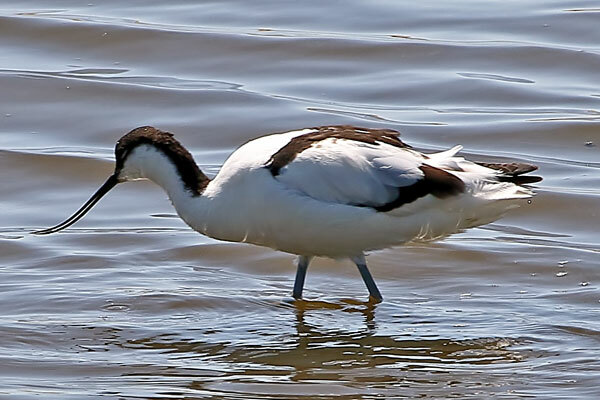 On the other lagoon I saw aboiut a dozen Avocets, about thirty Lapwings and a pair of Shelduck. Another pair flew in as I was walking back to the car. 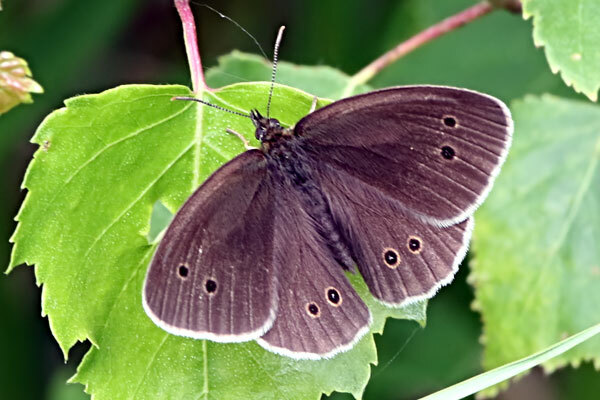 Finally I stopped at Myers Allotment (a BC reserve), where Ringlets were the most numerous species. 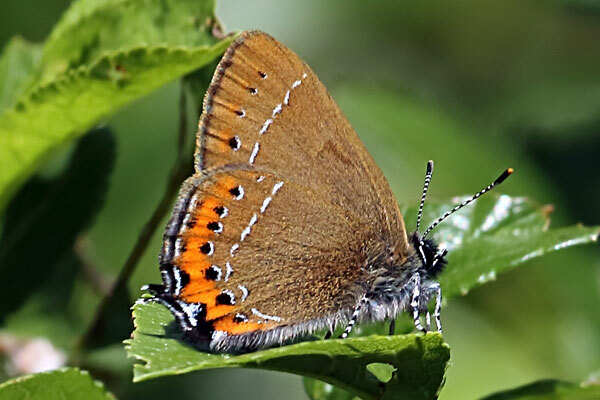 I also saw a Northern Brown Argus and a Red Admiral. In the evening the usual gulls and waders were on the mud flats, although I could only see six Curlews and no Oystercatchers. There were two Little Egrets and four Great Black-backed Gulls. I got to Arnside Knott soon after 09:15 this morning, and it was already quite warm. I headed to Heathwaite. 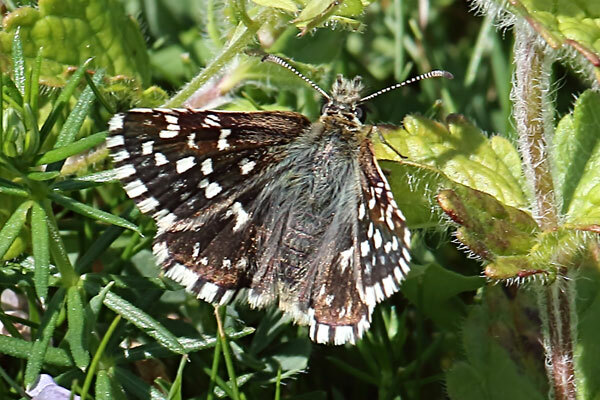 Ringlets and Small Skippers were abundant, and a few Northern Brown Argus were also present. 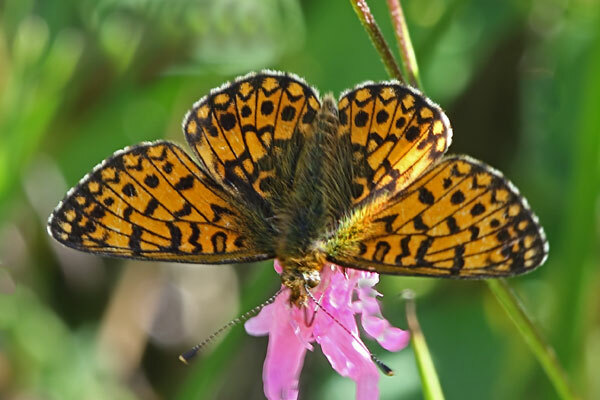 Eventually a High Brown Fritillary appeared, which gave me the runaround as per usual. A second one spent some time nectaring on thistles. The two engaged each other several times, spiralling upwards to fifty or sixty feet before disengaging. A third one joined in a couple of times. 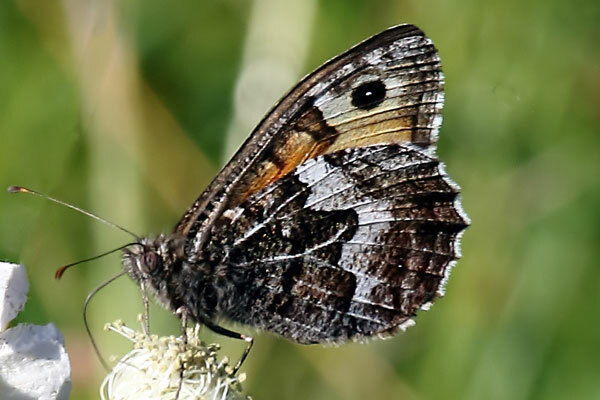 I walked up to the Knott, and I started to see Grayling; about ten in all. 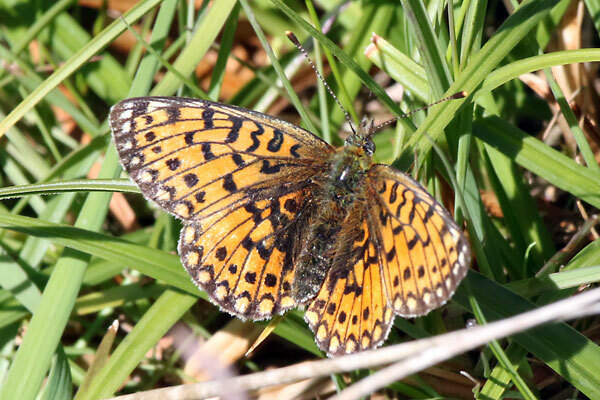 I also saw a couple of Pearl-bordered Fritillaries and three Common Blues. In the afternoon, even though it was around 30°C, I had a walk round Gait Barrows NNR. There were a few Grayling on the limestone pavement, but otherwise Ringlets and Small Skippers were the most abundant. 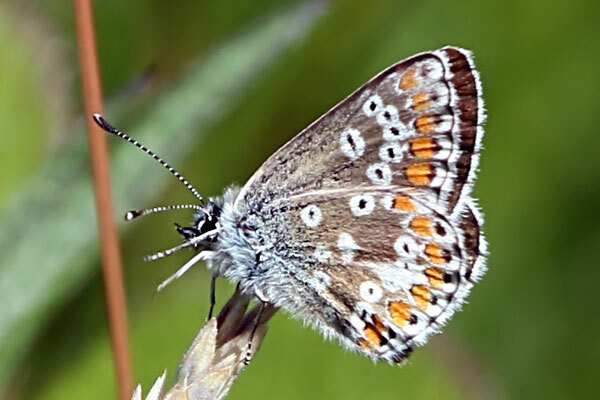 I saw a female Northern Brown Argus ovipositing. There were a few dragonflies here: several Black-tailed Skimmers and Common Blue Damselflies, and a Brown Hawker. In the evening there were about twenty Curlew and the same number of Lapwing feeding on the mud in the Kent estuary. I also saw three Little Egrets and five Grey Herons. I left Ravenglass this morning, with the weather forecast saying it would be hot. 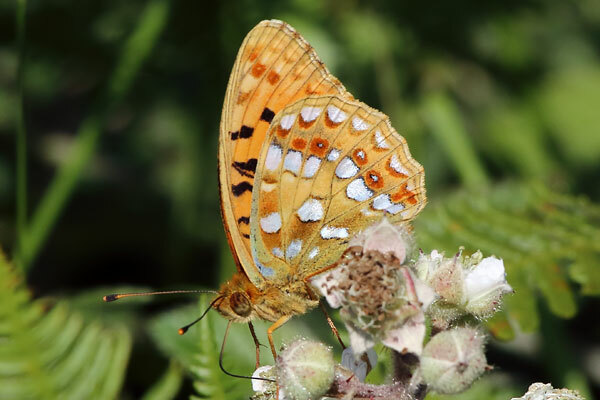 As I crossed Corney Fell I stopped where the road crossed Buckbarrow Beck, where I saw a Stonechat, a Small Pearl-bordered Fritillary and a Keeled Skimmer. My next stop was at the Latterbarrow reserve, and by now the temperature was around 25°C. Ringlets and Small Skippers were the most abundant butterflies. I also saw a couple of Northern Brown Argus and a couple of Silver-washed Fritillaries. 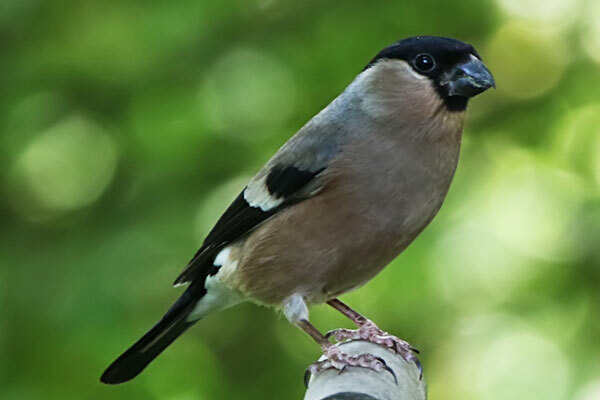 Birds seen were a Blackcap and a Goldcrest. Next I drove to the RSPB reserve at Leighton Moss. 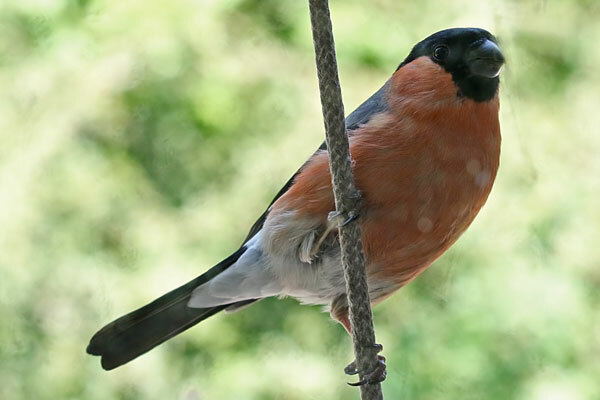 While I was having lunch a pair of Bullfinches came to a feeder suspended by the window. They had three or four juveniles to feed. There weren't too many other birds of interest, though. A pair of Great Black-backed Gulls, a Cetti's Warbler,a couple of Little Grebes and two Marsh Harriers were noteworthy. There were lots of dragonflies about. 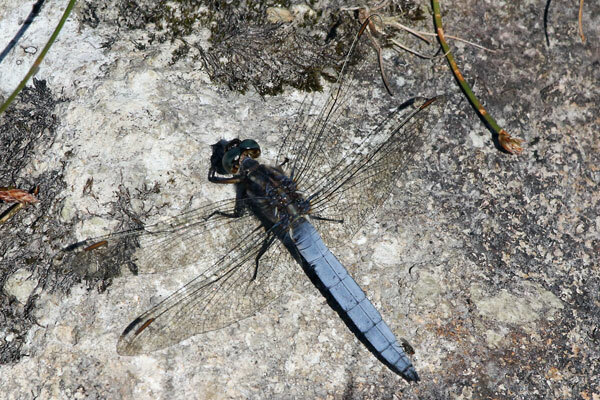 Most appeared to be Black-tailed Skimmers, although I also saw a couple of Brown Hawkers and an Emperor. The highlight of the day was watching an Otter fishing - that was the first wild Otter I'd seen in the British Isles. In the evening there were lots of Curlew, Lapwing, Oystercatchers and Redshank feeding on the exposed mud in the Kent estuary at Arnside. Another pretty decent day, but a bit cloudier than yesterday. I took the La'al Ratty train up to Dalegarth and spent a couple of hours exploring the mid-Eskdale valley. I heard a Blackcap singing, and managed a glimpse of it. Finally I found my first Small Skipper of the year, nectaring on bramble flowers. I walked along the south bank of the river, which was mostly in shade, and it was only when I crossed the river that I started to find insects. 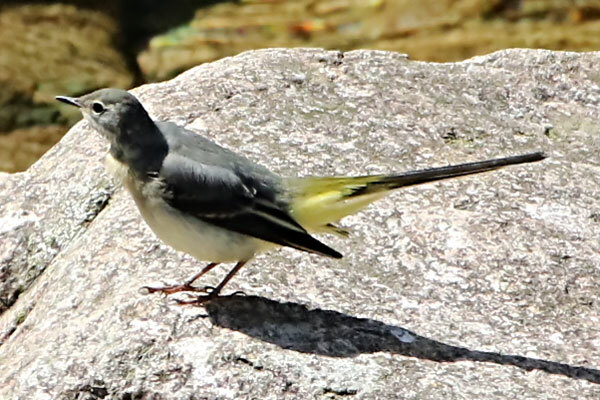 A Grey Wagtail was preening itself on a rock. A Small Pearl-bordered Fritillary was nectaring on thistles, and I found a couple of female Keeled Skmimmers in the bracken. I then came across a Beautiful Demoiselle near a small pool. A pair of Large Red Damselflies were in tandem, with the female ovipositing. A splendid male Goldenring then appeared, but wasn't as co-operative as yesterday's trio. 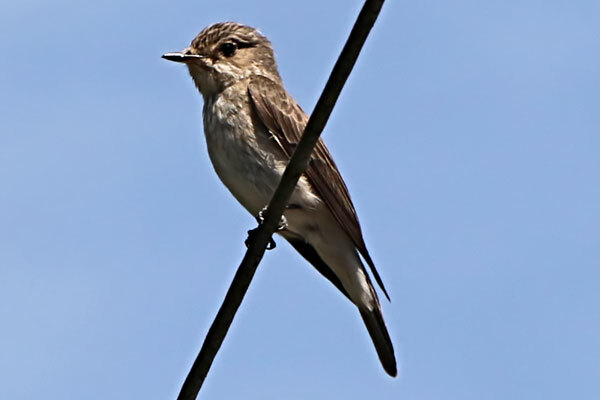 After some lunch at the Boot pub, a look around the village turned up a pair of Spotted Flycatchers and a Song Thrush. There were quite a few Pied Wagtails in the sheep fields, a flock of about thirty Jackdaws, and some Swallows and House Martins. A lovely sunny day. Before breakfast I saw a couple of Sandwich Terns in the bay. There were quite a few House Martins about. I headed to Irton Fell. After a fairly steep climb I reached the fell. 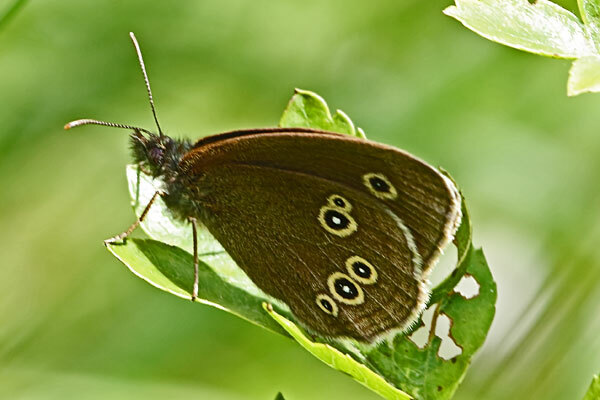 Conditions were perfect for Mountain Ringlets (sunny, warm, light wind), but there were none to be found. All I did see were several Meadow Pipits and Small Heaths, and a single Small Pearl-bordered Fritillary. Three other people were also looking for MRs, so we continued to Greathall Gill (spotting a couple of Keeled Skimmers and a Rock Pipit on the way), but there were no MRs here either. On the way back down we found a mating pair of Keeled Skimmers, and another Small Pearl-bordered Fritillary. At the gate into the wood a Southern Hawker was flying about. From here I went to Wasdale. Where I stopped for lunch I saw a couple of Pied Wagtails, two Rock Pipits, a Dark Green Fritillary and more Keeled Skimmers along a little runnel. 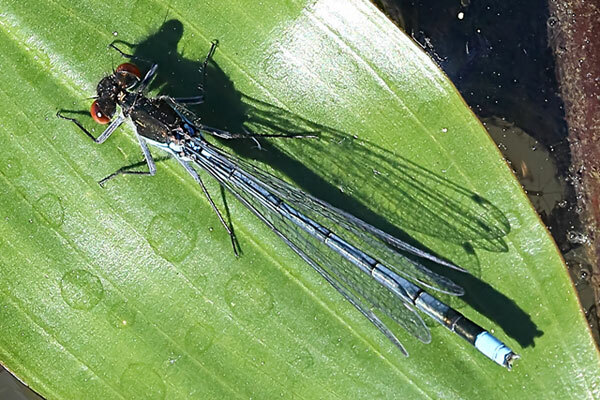 A female was ovipositing in the small pools. 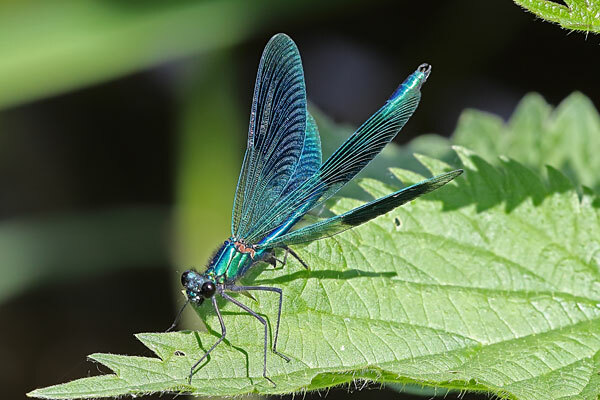 A bit further along at Nether Beck I saw at least ten male Keeled Skimmers, and also a couple of Beautiful Demoiselles and three Goldenrings. A Willow Warbler was singing in a tree. In the evening there were four Red-breasted Mergansers fishing in the estuary (definitely not Goosander). Other birds on the beach were a Rook, four Pied Wagtails, two Linnets, two Grey Herons and a few Starlings. A long drive up to the Lake District today. I stopped at Meathop Moss. 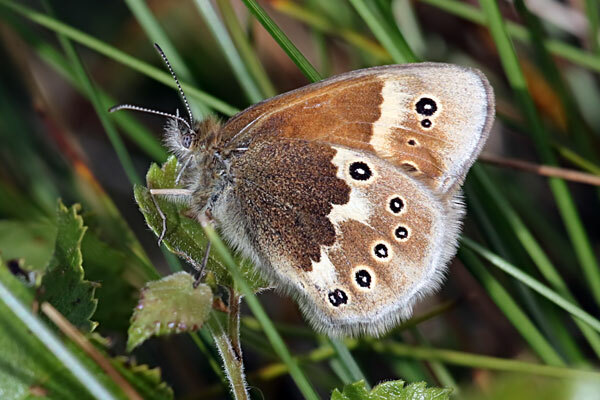 The target species here was the Large Heath. Initially the sun was pretty hazy and they were only flying when flushed, but when the sun came out so did the butterflies; I saw about ten altogether. They were not easy to photograph though. There were quite a few Large Red and Common Blue Damselflies, a Four-spotted Chaser and a teneral Common Darter. I heard at least three Willow Warblers, saw a Tree Pipit, and heard and then found a Wood Warbler. That was unexpected! At Ravenglass the tide was out. I spotted an Oystercatcher and a few gulls out on the mud. In the evening, when the tide was in, two sawbill ducks were diving in the bay, but I couldn't tell if they were Goosanders or Red-breasted Mergansers. A fresher day today, but as the sun was shining I headed for Daneway Banks. 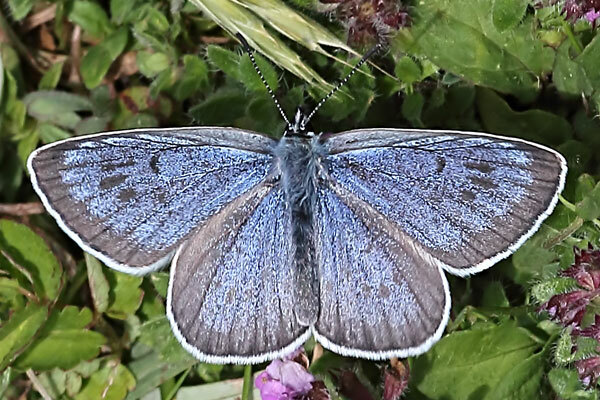 After I failed to see any Large Blues here last year, today I was rewarded with ten in 90 minutes (and I didn't even get to the top of the bank). 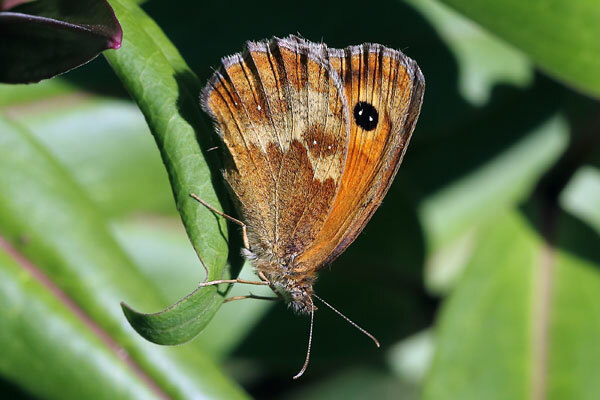 As it warmed up, Meadow Browns and Marbled Whites appeared in good numbers, but I only saw a few Ringlets. 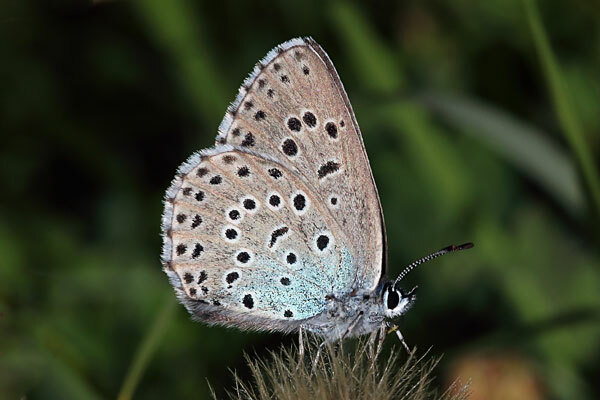 Common Blues were in double figures, and there was even a late Small Blue. I headed back east to Whelford Pools, where the species of the day was the Common Blue Damselfly, with over one hundred seen. 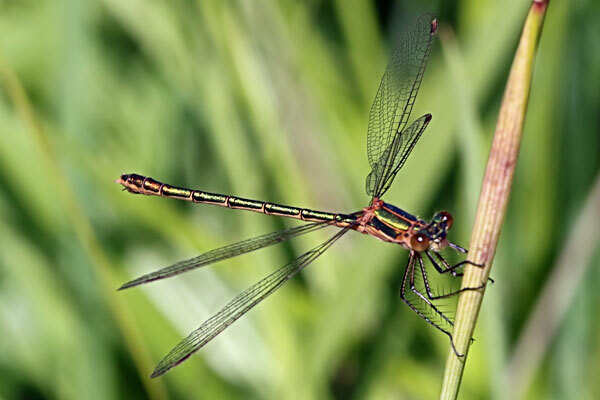 There were a few Azure and Blue-tailed, and around ten Red-eyed Damselflies. 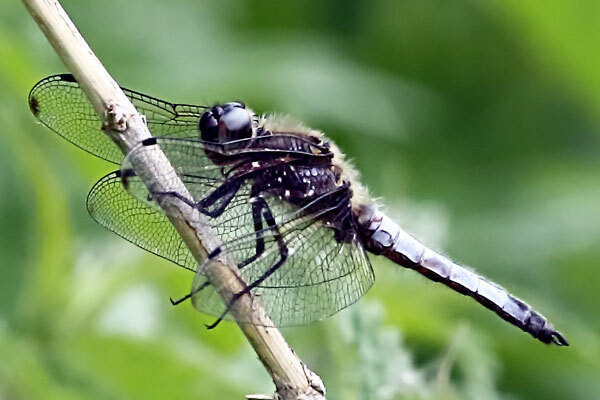 As far as dragonflies were concerned, I saw two male and two female Black-tailed Skimmers, at least eight Four-spotted Chasers (including one of the praenubila form), three Emperor Dragonflies (including an ovipoisiting female), and a teneral Common Darter. On the lake I saw three Lesser Black-backed Gulls, a Common Gull, and three adult and three juvenile Great Crested Grebes. I heard a Chiffchaff. 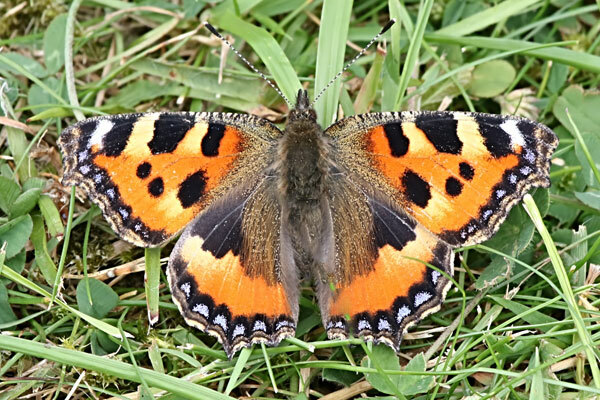 At the allotment I saw two Small Tortoiseshells, a Brown Argus and a Meadow Brown. Not great weather for butterflies today (warm, mostly cloudy and breezy), but I went over to Standlake Common this morning anyway and was rewarded with two White-letter Hairstreaks in a hazel tree by the gate leading to the Langley Lane hide. They kept engaging each other in spiralling combat, and never landed in good places for photos. The other species of note was the Azure Damselfly - there were absolutely loads of them, with many pairs in tandem. I also saw at least twenty Banded Demoiselles and threeBlack-tailed Skimmers. I couldn't see much of the lake, but I did spot three Little Egrets and a Grey Heron. I heard at least four Chiffchaffs and one Willow Warbler, and saw a female Blackcap and a singing male Greenfinch. When I got home there was a Red Admiral in the garden. There was a Holly Blue in the garden this afternoon. 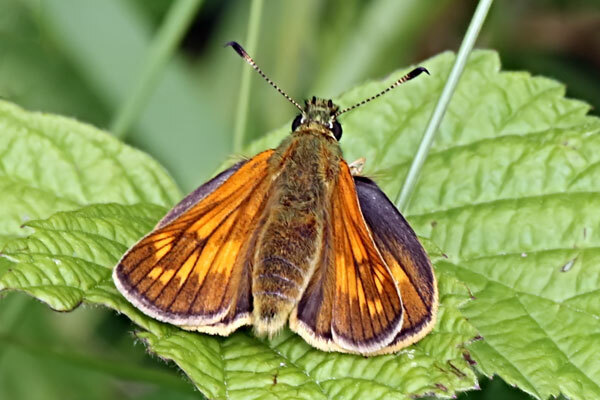 I visited Otmoor this morning to take part in a butterfly survey on the MoD land. Unfortunately we couldn't do this as the gate was locked! So we walked along the roman road and along the hedgerow in Saunders Field. There were again lots of Azure Damselflies and quite a few immature Ruddy Darters along the roman road. I spotted a Chiffchaff singing from the top of a hawthorn bush. I head a Willow Warbler and a Cuckoo. Stangely we couldn't find any Black Hairstreaks along the roman road, but they did start to appear in the Saunders Field hedgerow; there were five or six in total. 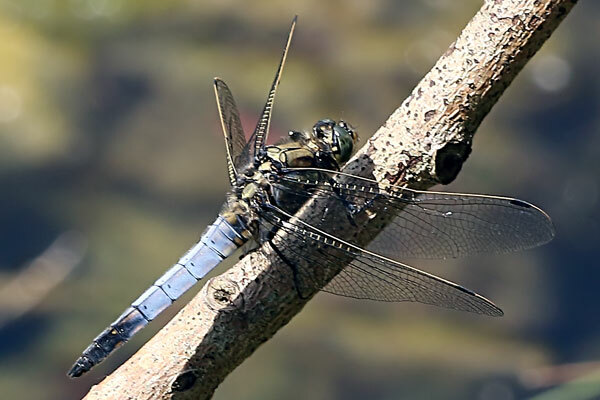 There were more dragonflies here: my first Southern Hawker of the year, a couple of Hairy Hawkers, at least five Brown Hawkers, four Four-spotted Chasers (one was of form praenubila), a mating pair of Emperor Dragonflies and one Common Spreadwing. 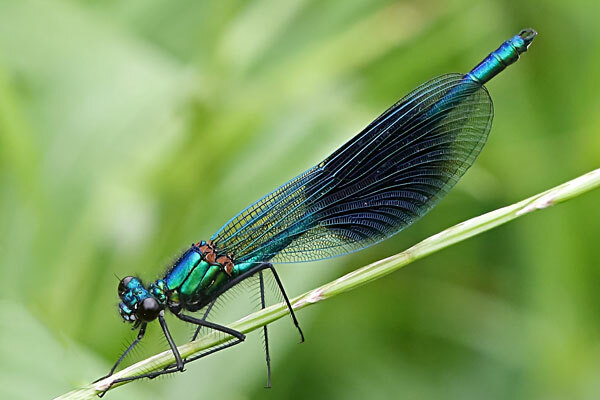 On the way back down the roman road I saw a male Beautiful Demoiselle. The next stop was at Bernwood Forest. A couple of White Admirals appeared quite quickly, but they were intent on flying very low along the track and didn't want to stop. 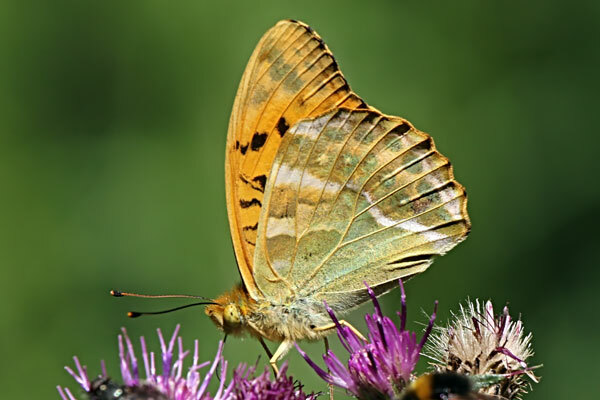 My first Silver-washed Fritillary of the year was more obliging, as it was feeding avidly on thistle flowers, although it mostly kept its wings closed. 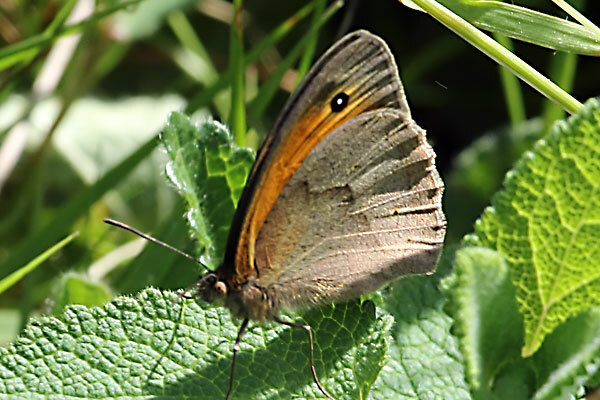 There were around a dozen Large Skippers, but only a couple of Ringlets. 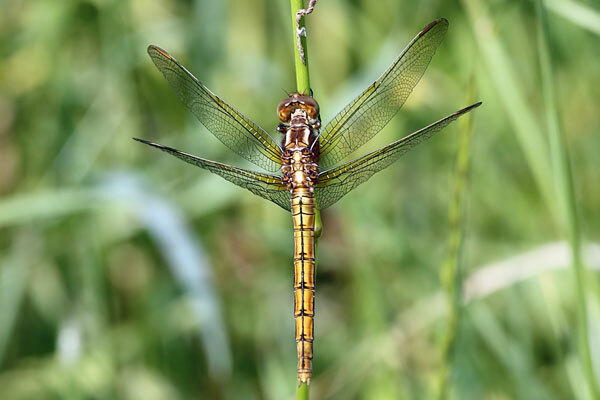 There were several Emperor Dragonflies about; I saw one catch a Meadow Brown up by the pond. 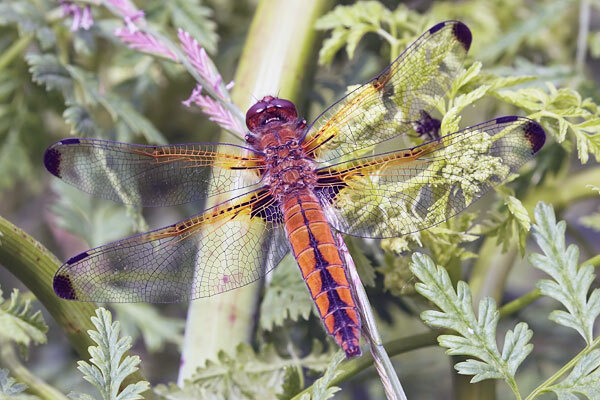 Two male Broad-bodied Chasers were at the pond; they kept engaging each other in aerial combat. A female, meanwhile, was ovipoisiting around the edges of the pond. On the way back to the car park I saw a Common Lizard on the track. 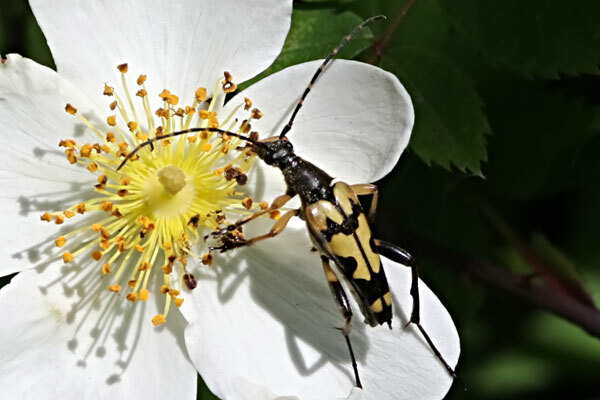 There were several Black-and-yellow Longhorn Beetles about. My final stop was at Whitecross Green Wood. 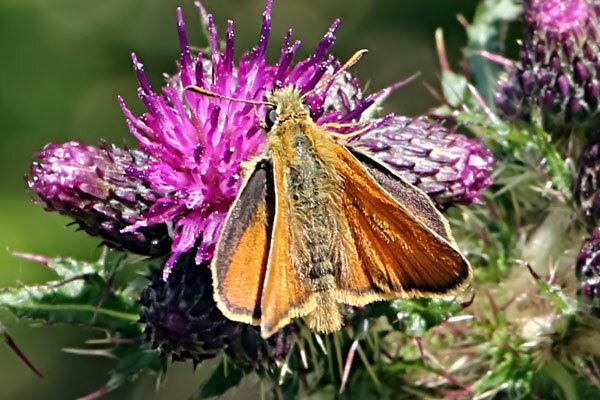 Here the Large Skipper was the most numerous butterfly, followed by the Meadow Brown. Other grassland species seem slow to get going; I only found two Ringlets and two Marbled Whites. 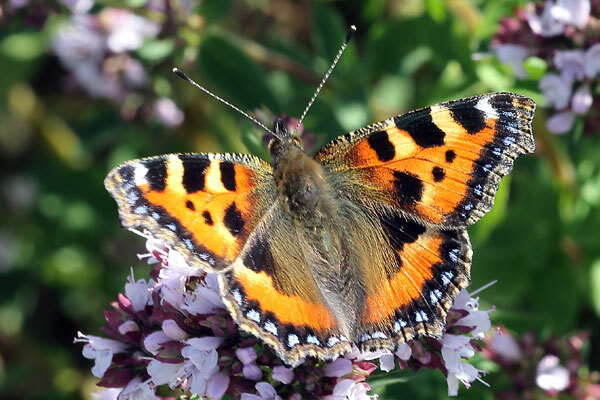 I saw my first summer-brood Small Tortoiseshell and Comma. The latter was of the pale hutchinsoni form. There were at least seven White Admirals along the ride, but as at Bernwood they didn't settle. 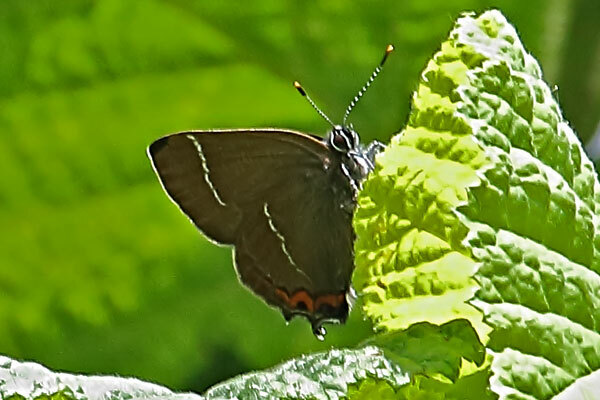 The Black Hairstreak flight period is coming to an end; I only found eight today. 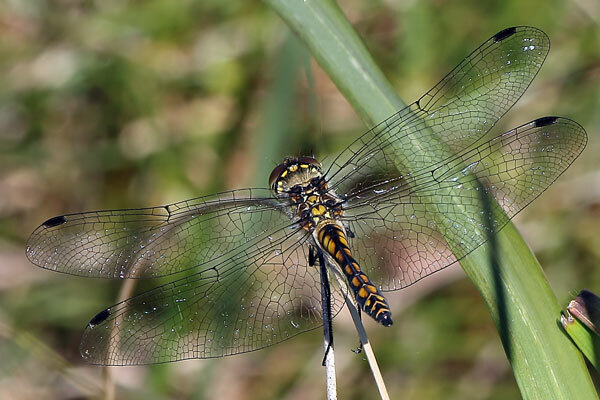 On the dragonfly front I saw at least nine Emperor Dragonflies in various states of maturity, a Black-tailed Skimmer, several Ruddy Darters and one each Banded and Beautiful Demoiselle. 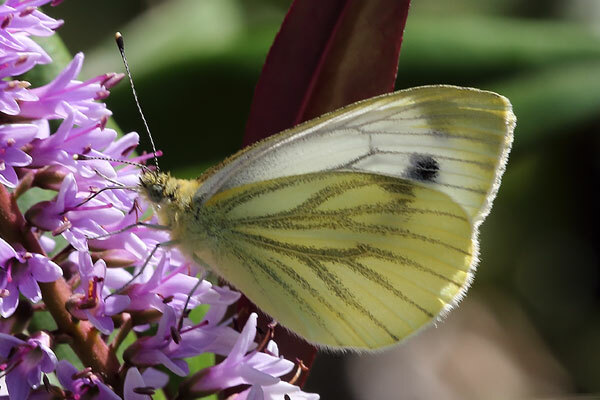 At the allotment this morning I saw a male Green-veined White with one spot on each forewing, so that's the first of the second brood. At Dry Sandford Pit there were many Meadow Browns about. I found a dozen feeding on Wild Privet, and at least sixty in total. They were all males; it's going to be pandemonium when the females start to emerge! 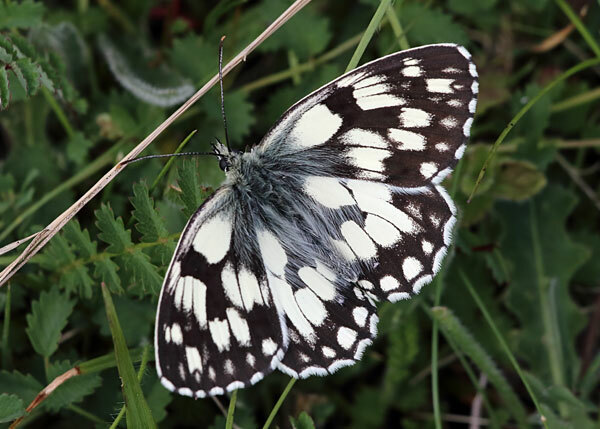 Otherwise the noteworthy species were my first Ringlet of the year, and my first Marbled White at the pit. 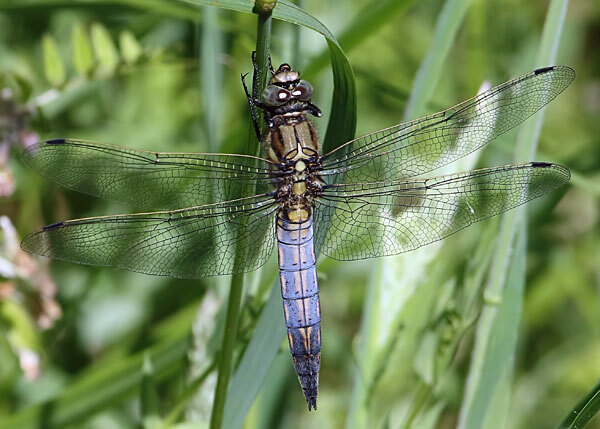 In the marsh I saw three male Keeled Skimmers, several Southern Damselflies and an ovipositing Broad-bodied Chaser. 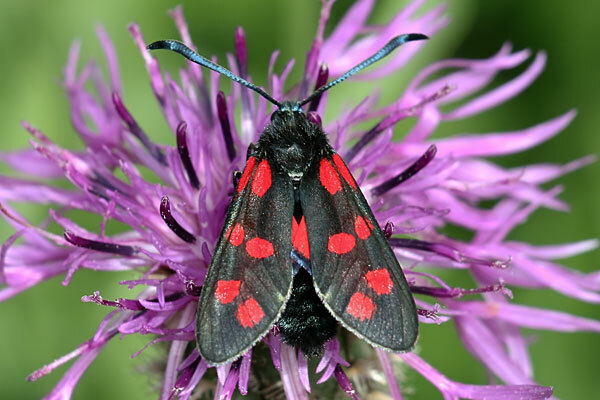 A Scarlet Tiger flew past and I found at least eight Six-spot Burnets feeding on flowers. I went over to Aston Rowant NNR this afternoon. It was partly cloudy, about 20°C with a fairly brisk WSW wind. 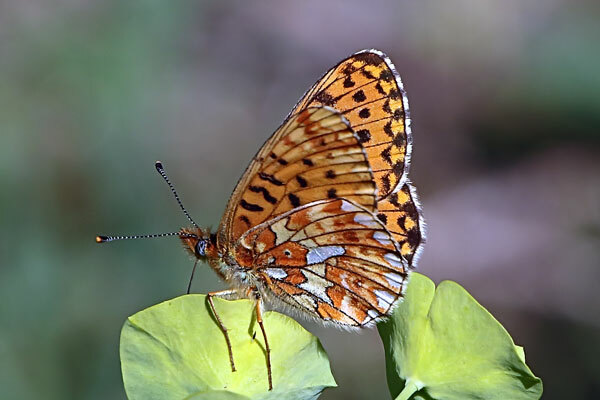 On getting out of the car in the south side car park, a Dark Green Fritillary flew up, but by the time I'd got the camera ready it had disappeared, and I couldn't relocate it. 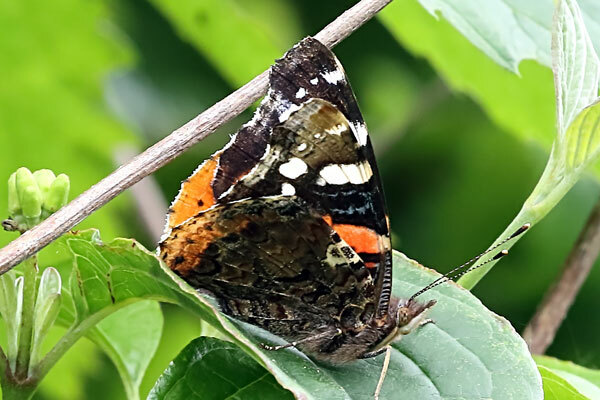 I saw a Red Admiral as I was walking along the Ridgeway. The first field on the left was fairly sheltered and there were quite a few Meadow Browns flying about. On the other side of the trees the hill was quite exposed, so butterflies were keeping their heads down. 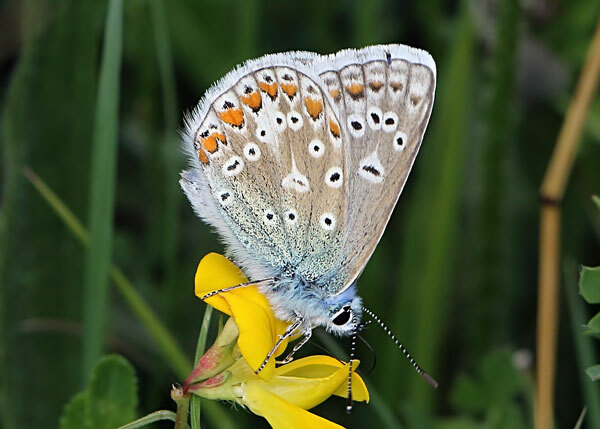 I saw about a dozen Common Blues and nine Small Heaths, but the highlight was a male Adonis Blue, which I'd never seen on the south side before. On the way back to the car I saw my first Narrow-bordered Five-spot Burnet of the year. I drove over to the north side. 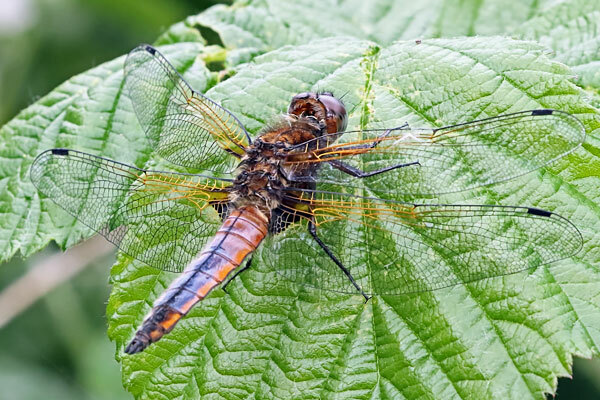 At the top of the slope I found a female Broad-bodied Chaser, which seemed odd as the nearest water is over a mile away. Further down the slope I saw a Mistle Thrush fly into a tree. 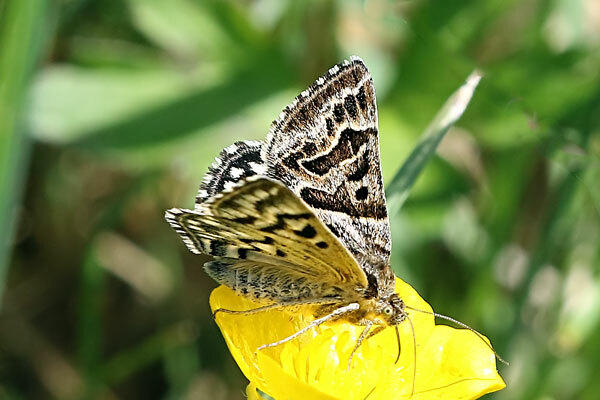 There were fewer Meadow Browns on the north side, but more Brown Argus, and I even found a worn Dingy Skipper and a a teneral Black-tailed Skimmer in the sunken pathway. The latter seemed very out of place! In the next field I finally found some Marbled Whites, and also a couple of Cistus Forester moths. I visited Dry Sandford Pit this morning, in sunny and warm conditions. I found a small number of Southern Damselflies (including a pair in cop), and a teneral female Keeled Skimmer. 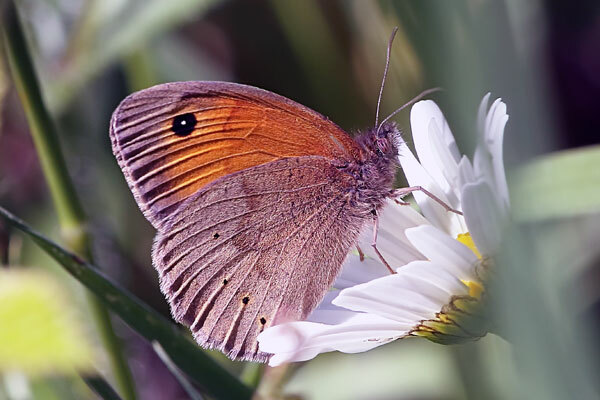 On the butterfly front Meadow Browns were easily the most numerous, with at least twenty-eight seen. I couldn't find any Marbled Whites or Ringlets though. 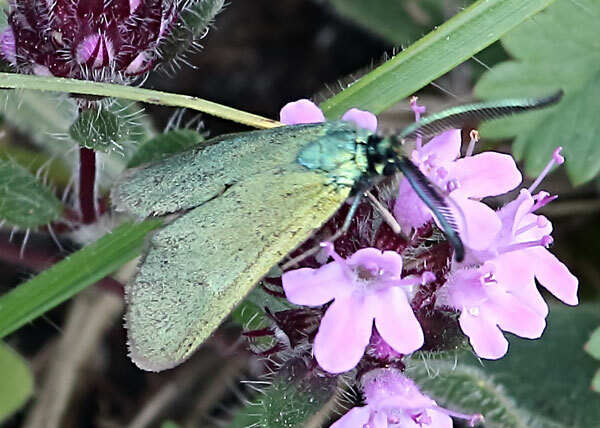 I did see a late Green Hairstreak and a male Brimstone. In the garden I saw a Red Admiral and a rather tired Holly Blue. On the way back home, as the sun was shining, I stopped at Barnwell Country Park again, in the expectation that there would be more dragonfly activity. There were still teneral and adult Scarce Chasers in the same places they'd been on Friday, but I found some more at the north end of the site. 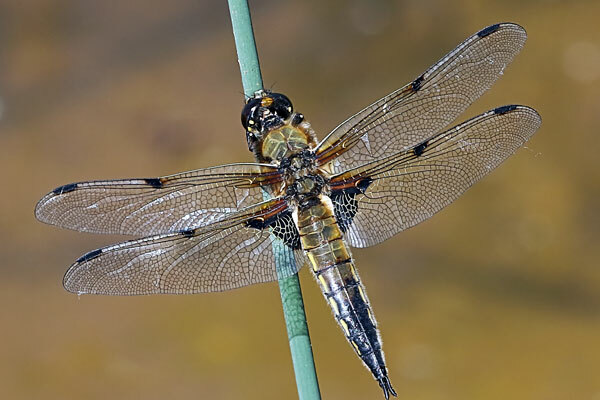 There were also a number of Hairy Hawkers a couple of Four-spotted Chasers and many Banded Demosoiselles about. There weren't many butterflies though, just two Speckled Woods. 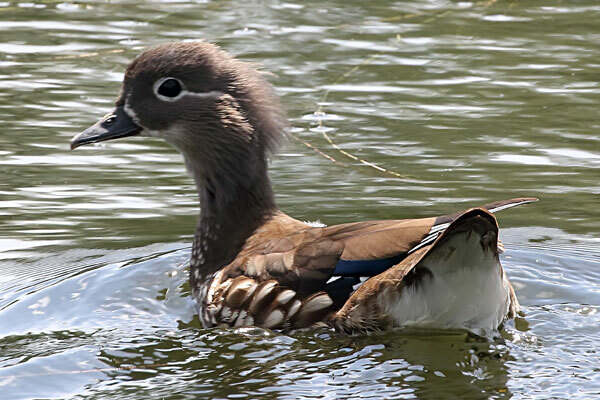 I did see a bird that I hadn't seen on Friday, which was a female Mandarin with one duckling in tow. My plan to visit the Norfolk Broads today to look for Swallowtails was wrecked by 100% cloud cover. So I decided to go to Titchwell Marsh instead. 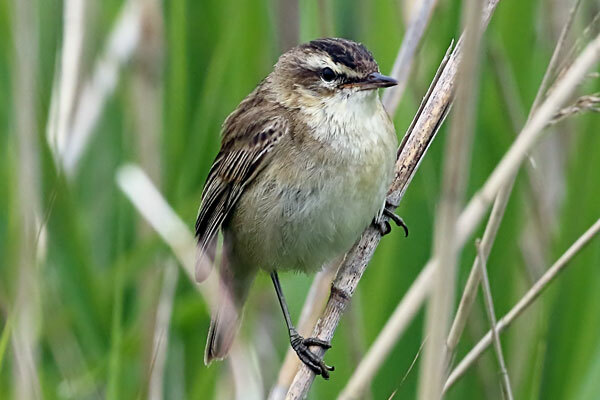 On the way to the first hide overlooking the freshmarsh I saw Sedge and Reed Warblers, and a Reed Bunting. Somebody spotted four distant Red-crested Pochard, a bird I'd not seen at Titchwell before. There were lots of birds on the freshmarsh, most notably a lot of noisy Black-headed Gulls. 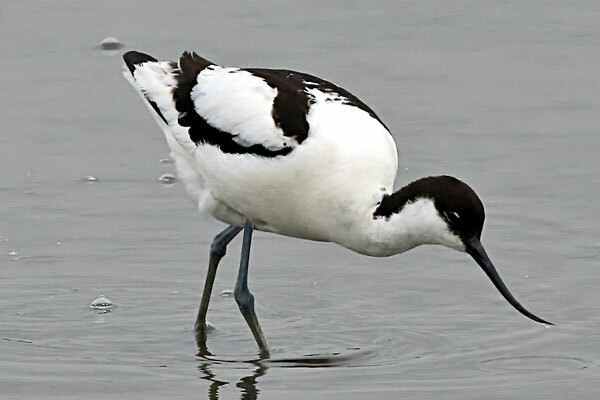 There were lots of feeding Avocets and roosting Black-tailed Godwits; some of the latter were in their red summer plumage. I also saw my first Little Ringed Plover in this country this year. 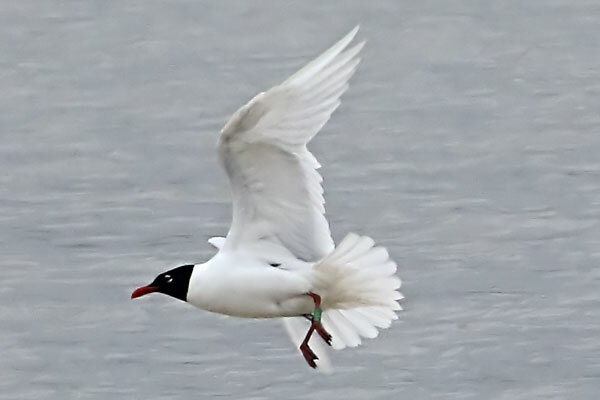 I moved on to the Parrinder hide, where a few Mediterranean Gulls were in with the Black-heads. 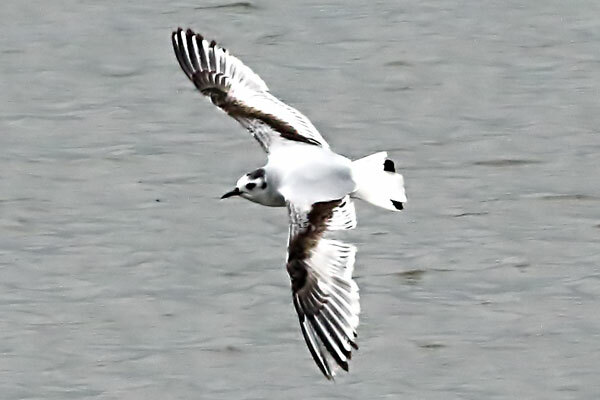 There were seven second-summer Little Gulls, five Sandwich Terns and two Common Terns. There wasn't much on the saltmarsh, but as I got closer to the coast I spotted around fifty roosting Oystercatchers (the tide was in, so their feeding grounds were submerged). 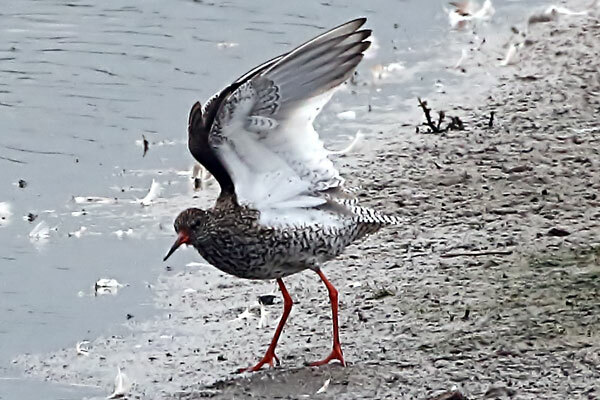 On the way back a Meadow Pipit showed well, and there were the inevitable Redshank. There wasn't anything of note on the eastern trail, with the exception of a Stoat. Today I stopped at Barnwell Country Park near Oundle, en route to Peterborough. Although I hadn't been here before I quickly located my target species, the Scarce Chaser. 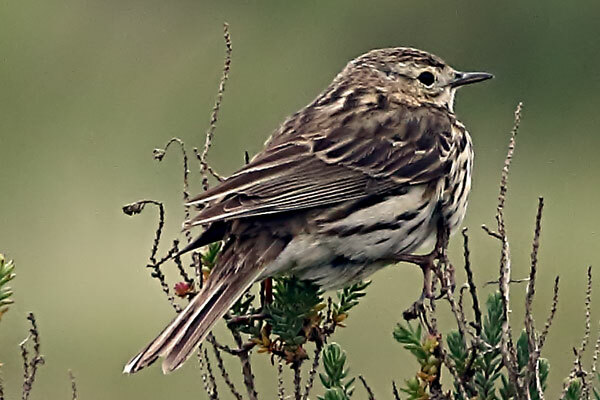 A couple of immature females were perched in a nettle & bramble bed. Because it was mostly cloudy they were not very active. On the bank of the river Nene I found an adult male and a pair in cop. 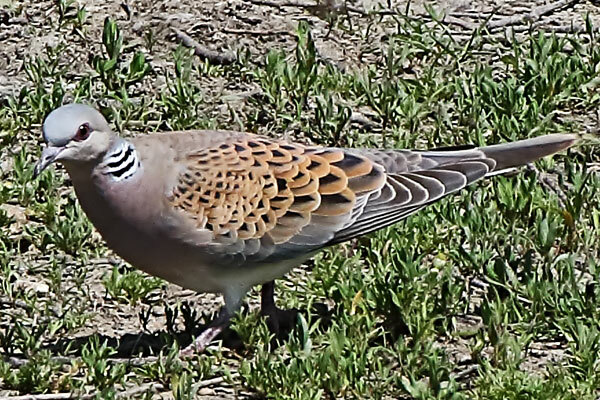 They were quite difficult to approach, but eventually I got pics of teneral and adult males. The most amazing thing was the sheer number of Banded Demoiselles present: easily into three figures. There were also quite a few Blue-tailed and Red-eyed Damselflies, but the only other dragonfly I could find was a female Broad-bodied Chaser. 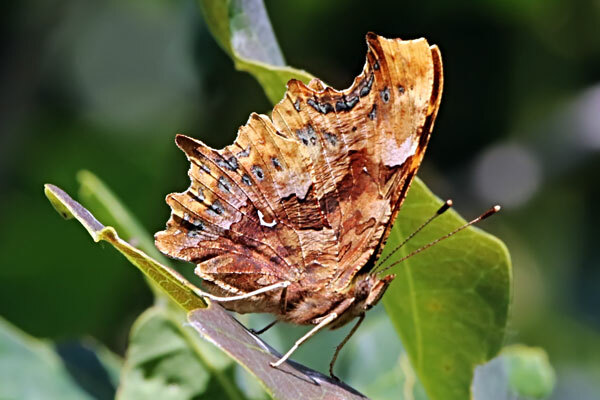 There were a few butterflies about: one male Orange-tip, a Red Admiral and a Speckled Wood. I heard a Cuckoo, as well as Reed Warbler, Blackcap and Chiffchaff. 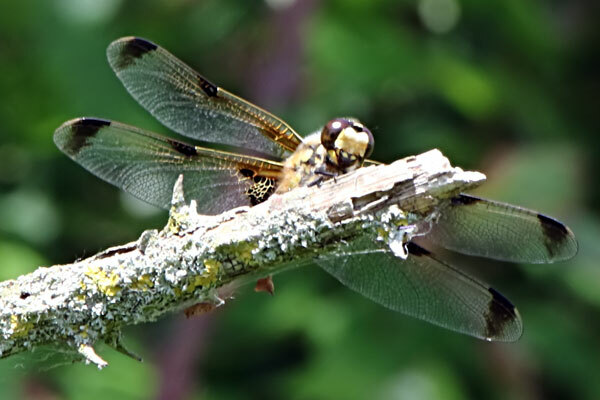 Today I led a small group from the Abingdon Naturalists Society on a dragonfly hunt at Otmoor. 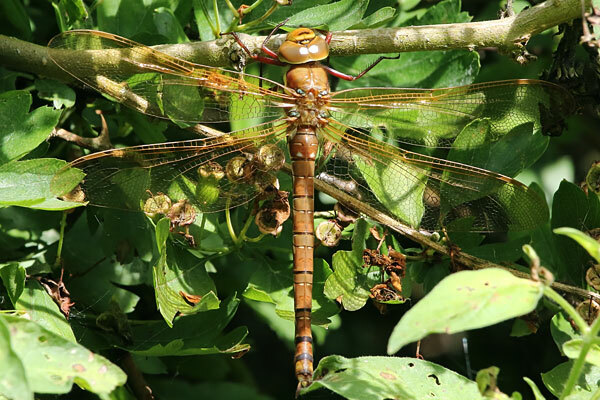 I got there a bit earlier than the start time and found a female Brown Hawker along the roman road. There were many Azure Damselflies about, but only a few Blue-tailed, Blue-eyed and Large Red Damselflies. 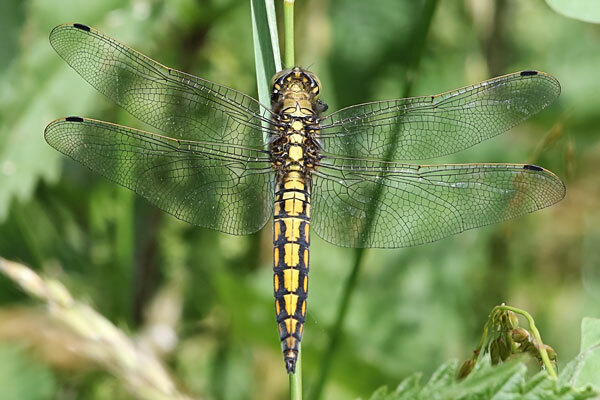 There were some Four-spotted Chasers along the old roman road, but up on the causeway there were many more. Hairy Hawkers were also present, with two being seen along the road and another on the bridleway. 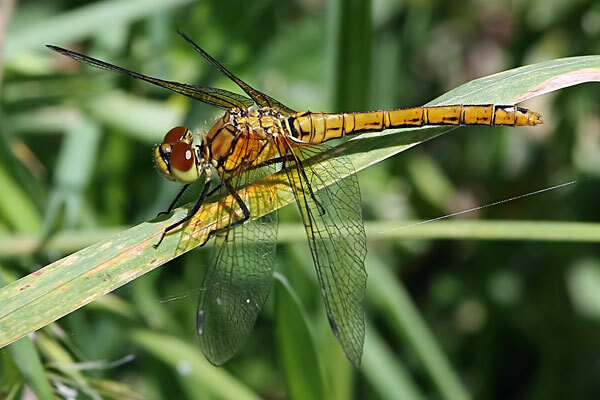 An immature female Ruddy Darter was found along the bridleway. 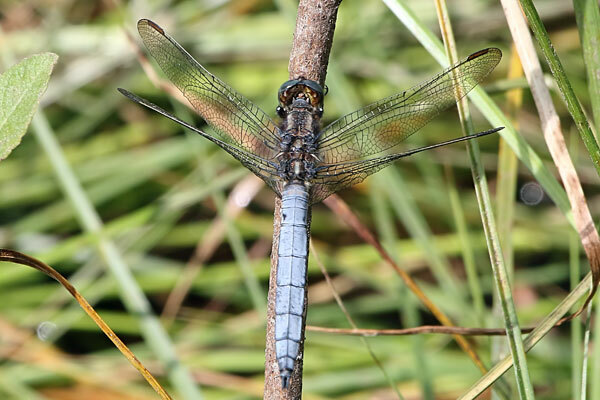 At the hide a Black-tailed Skimmer was spotted over one of the pools, along with a male Emperor and an ovipositing female. 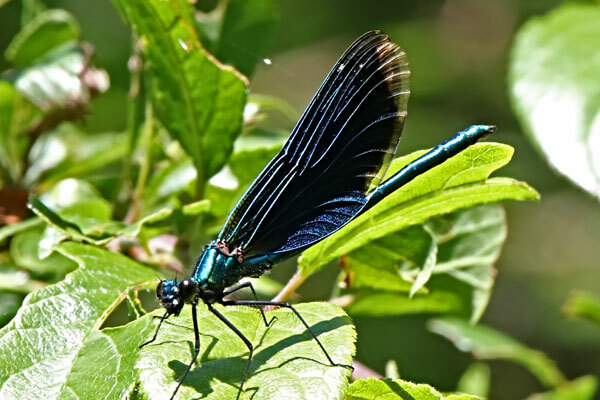 Three male Banded Demoiselles were seen on the bridleway. On the butterfly front, at least eight Black Hairstreaks were the highlight, along with two Red Admirals and a Painted Lady. We also found a group of Peacock larvae, and a single Small Tortoiseshell larva. 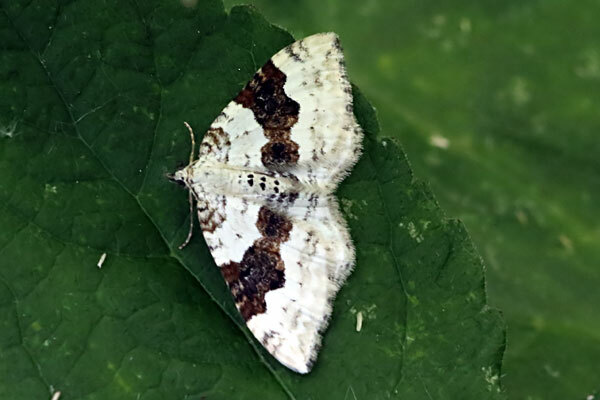 Among the moths, a Blood-vein and a Silver-ground Carpet were the best sightings. After some refreshment I headed over to Whitecross Green Wood, where there were more Black Hairstreaks than I'd ever seen there before. I reckon that I saw twenty-five in 90 minutes. They were all males as far as I could tell, all searching blackthorn for females and not stopping very often. 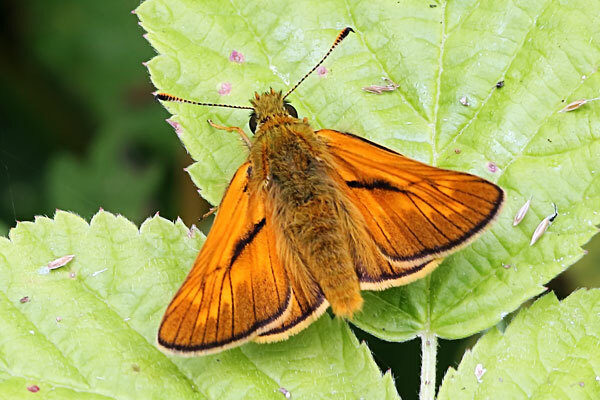 There were few other butterflies about though - four Large Skippers and a Meadow Brown were the only noteworthy species. 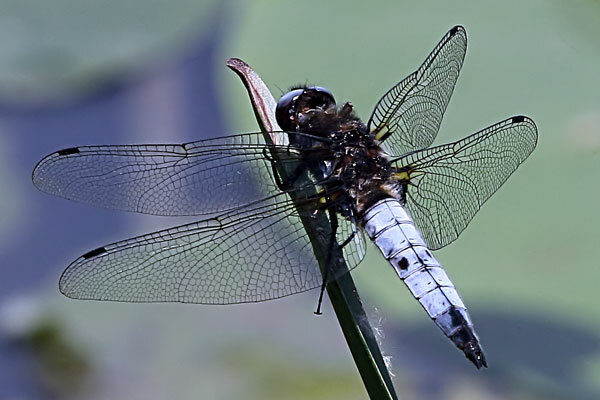 However, dragonflies did better, with five Emperors, and teneral Hairy Hawker, Black-tailed Skimmer and Ruddy Darter being seen. The second cloudy day on the trot. Not surprisingly there were no butterflies at the allotment in the afternoon, but I did see a couple of moths: a Silver Y and a Cinnabar. 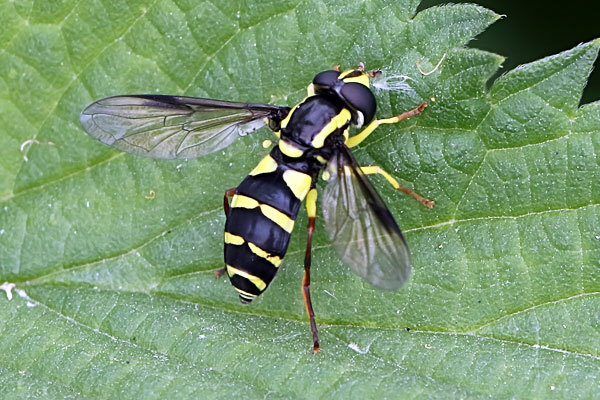 I also spotted a rather attractive hoverfly sitting on a nettle leaf, which I later identified as Xanthogramma pedissequum. Back at home I heard a loud commotion, and looked up to see a Sparrowhawk being hotly pursued by other birds. It all happened so quickly I couldn't tell whether the Sparrowhawk had a victim in its talons. I headed south today, to Bentley Wood on the Hampshire/Wiltshire border. It was sunny and quite warm. Quite a lot of scrub clearance had happened since I was last here. The first butterflies I saw were two Speckled Woods battling each other in the car park. 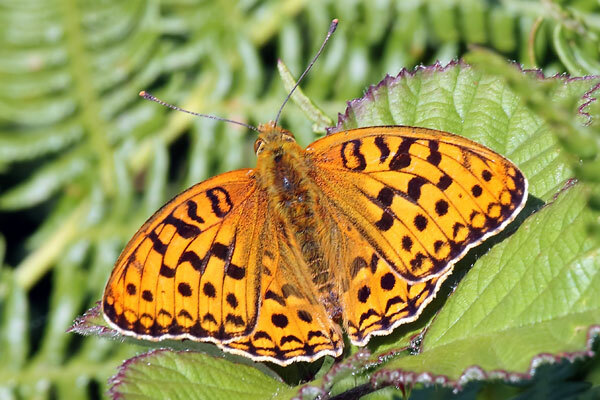 The third was a Pearl-bordered Fritillary which landed on my arm briefly. I had to follow it for a while (until it started nectaring on spurge) to confirm its identity. That was the only definite PBF I saw. 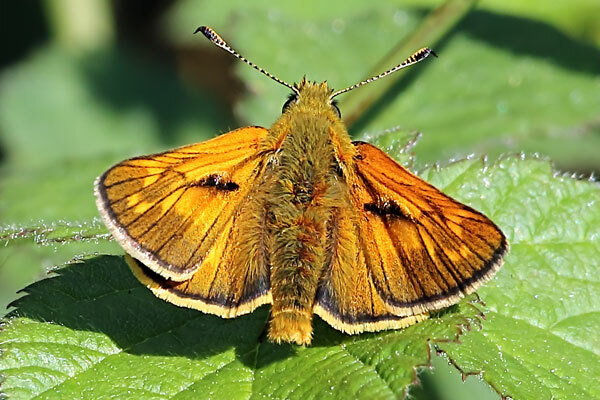 Next was my first Meadow Brown of the year, which was followed by a couple of Small Pearl-bordered Fritillaries (seven in total), a Large Skipper, a Small Copper and a Brimstone. 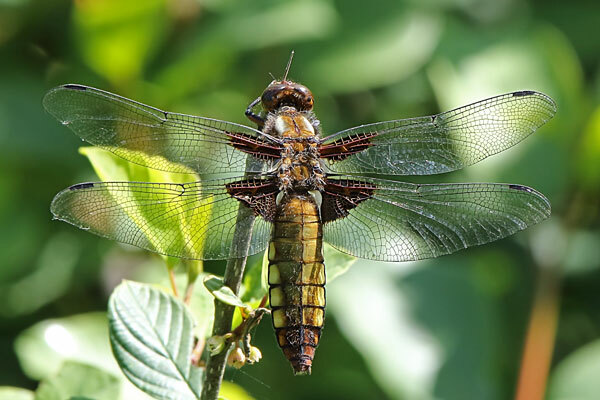 There was only one dragonfly, a female Broad-bodied Chaser. I also saw a huge queen Hornet. Birds did quite well - I heard Garden Warbler, Willow Warbler, Lesser Whitethroat (finally! ), Blackcap and Chiffchaff. After 90 minutes here I drove back to Stockbridge Down. There were lots of Brimstones here. I counted at least twelve males and five females. I also saw eleven Common Blues, five Small Coppers, two Grizzled Skippers and a Peacock. 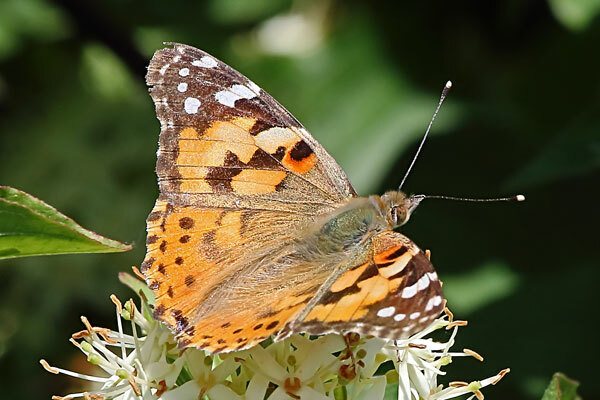 The migrant theme continued, with a fairly distant sighting of a Painted Lady flying along a hedgeline, a female Red Admiral looking for places to oviposit, and six Silver Ys. In the evening there were four or five Silver Ys feeding on buddleia flowers in the garden. A cloudy start, but I headed over to Standlake Common in the hope that the sun would come out (it did, eventually). At the top of Langley Lane I saw a Red Admiral perched in a bush, but it didn't really want to open its wings. There were dozens of Common Blue Damselflies perched on grass stems; they rose in a cloud when I got too close. There were a few Blue-tails and Red-eyed amongst them. Further down the lane I saw several Speckled Woods and Banded Demoiselles, and a male Orange-tip which looked quite fresh. There wasn't a lot of note on the lake, but I saw seven Little Egrets, two Oystercatchers and no fewer than fifty-two Mute Swans. At the other end of the lake I saw a Garden Warbler and heard a Whitethroat. There were more damselflies here too. On the moth front I saw two Silver Ys. These, along with the Red Admiral, suggested that there had been an influx from the continent. 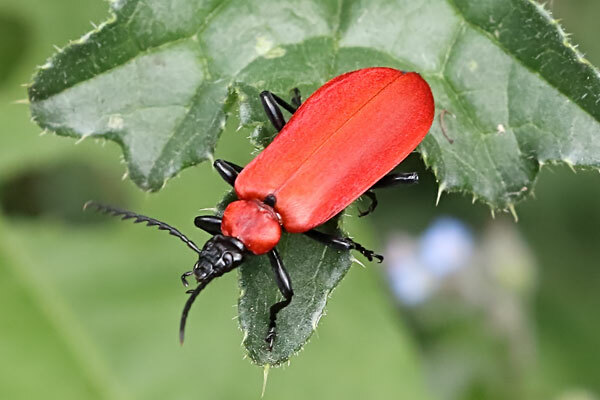 I saw both Red-headed and Black-headed Cardinal beetles. Over lunch at home I saw a large fly land on the greenhouse. It then flew into the greenhouse, so I was able to capture it. 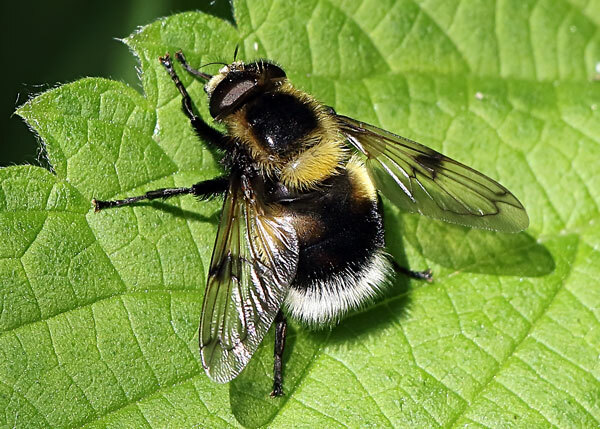 It looked very much like a Large Marsh Horsefly, even though the habitat seemed wrong. I then discovered that a sum plum Slavonian Grebe had been found at Farmoor, so I headed over there to see it (all my previous Slavonians had been in winter plumage). After a long walk (in the quite hot sun) to the south-west of F2 the bird obliged with some close-up sightings while it was diving for food. 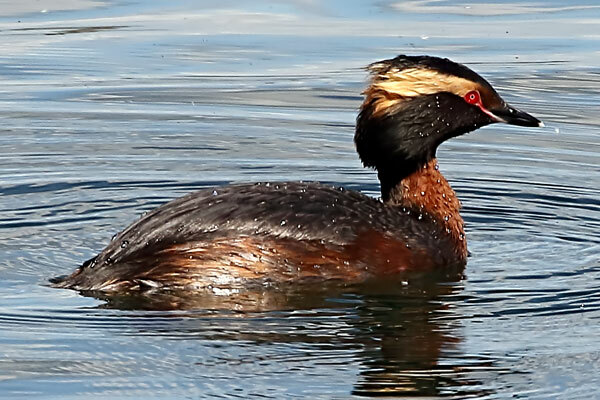 It was even more elegant than the Black-necked Grebe of a few weeks ago. 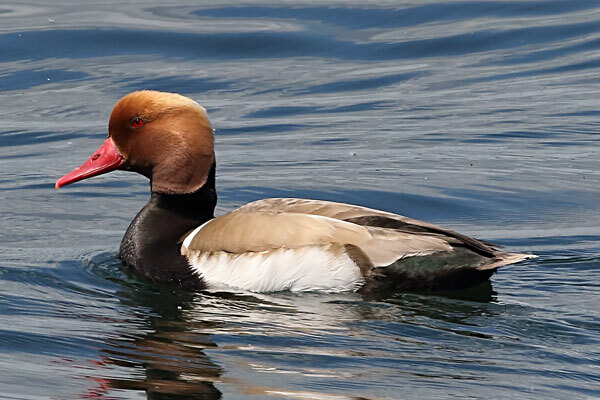 I also saw a pair of Red-crested Pochards, and a female on her own. There were some moths about - at least four Silver Ys, a Burnet Companion and a Mother Shipton. Butterflies included two more Red Admirals, five Common Blues and two Brown Argus. I went down to Buckthorn Meadow to look for dragonflies. 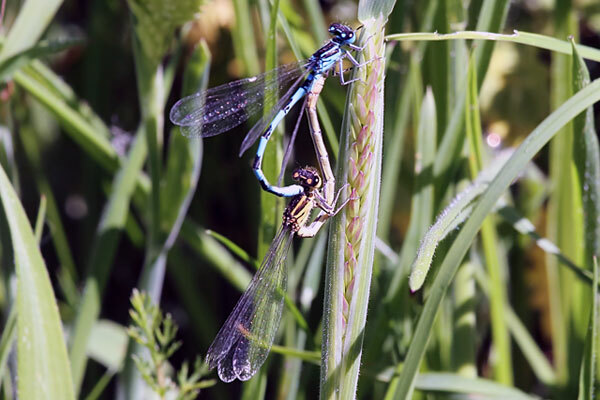 As at Standlake there were many Common Blue Damselflies about, which quite a few of them being pairs in tandem. I saw a female Hairy Hawker, but it moved before I could get a photo. At the bridge over the pond I saw two Four-spotted Chasers and several Red-eyed Damselflies. There were lots of Banded Demoiselles about; I counted at least twenty males and seven females. There was nothing much along the causeway, except for four Common Terns at the eastern end. Garden butterflies today were a Small White and two Holly Blues. After disappearing for several days (presumably because of the weather) there were seven Swifts over north Abingdon this afternoon.